Posted on Thursday, September 15th, 2016. - Filed under 65-Inch. You might be thinking about LG OLED65E6P and 65EG9600 when you are looking for 65-Inch OLED 4K TV for your next living room entertainment screen. OLED65E6P and 65EG9600 are introduced from different lineup year, OLED65E6P come from 2016 lineup, while 65EG9600 is part of LG’s 2015 TV lineup. If you are interested in those two TVs as your choice, I’m quite sure that you want to know more about their comparison. This article will help you to know more about the comparison of those two TVs, then discuss which of them is more suitable for you. LG OLED65E6P is 65-Inch OLED TV model that positioned as the model below OLED65G6P in 2016 TV lineup. LG OLED65E6P comes with flat panel screen. OLED panel that used by OLED65E6P is able to deliver perfect black with its ability to be switched off completely, infinite contrast with the pixel dimming (the pixels can be self dimmed and brightened), and cinematic color since the OLED color palettes match today’s digital cinemas range of hues. OLED65E6P is also completed with Passive 3D features that deliver cinematic watching experience with the OLED panel and 4K UHD resolution. There’s also new OLED HDR with Dolby Vision support technology attached on LG OLED65E6P screen. With OLED HDR, you can get enhanced brightness and details from your High Dynamic Range (HDR) contents. For the Smart TV platform, you can find WebOS 3.0 that’s widely used by LG’s 2016 Smart TV lineup. WebOS is able to deliver premium contents to your home screen, while provide you with other smart functions with the access to LG content/Apps Store. For more convenient controlling, LG OLED65E6P set is included with premium magic remote. 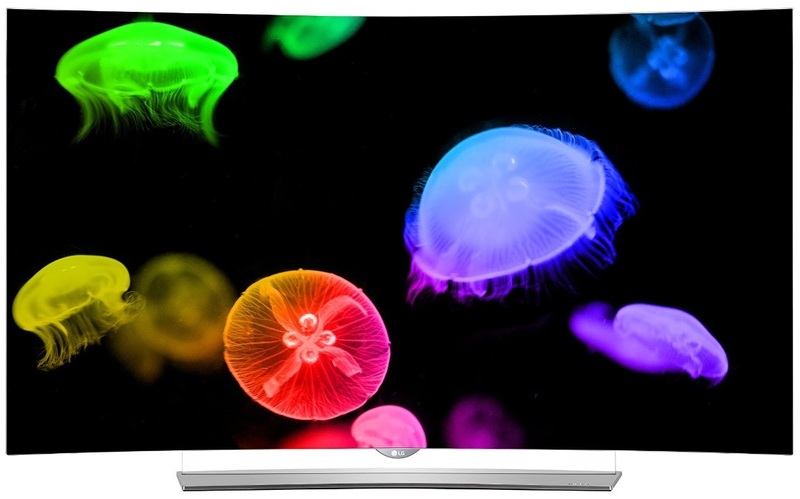 One of the most popular OLED from 2015 lineup is LG 65EG9600. It comes with curved panel design in 65-Inch screen size. With its OLED Panel, LG 65EG9600 is able to deliver perfect black and infinite contrast. It can be delivered by the ability of OLED pixels to be dimmed, brighten and powered off completely. The color palettes of OLED is also able to match the range of hues from today’s high end cinemas so It can bring cinematic watching experience. LG 65EG9600 comes with curved panel design, that intended to deliver panoramic watching experience. The Smart TV platform of LG 65EG9600 is WebOS 2.0. It’s indeed the older version of WebOS, but It still can deliver premium contents, as well as deliver additional smart functions to your home screen with LG content/Apps store access. Magic remote is also included with LG 65EG9600 that make controlling works easier and faster. Passive 3D is also attached in LG 65EG9600 to give you option to enjoy your favorite movies in 3D or 2D. To talk more about comparison of LG OLED65E6P and 65EG9600, We need to know the specs of those two TVs. Let’s check out the table below of the specs of those two TVs. After We know the specs of LG OLED65E6P and 65EG9600, We can talk more about their comparison. Let’s make comparison between those two TVs using the specs from the table above. OLED65E6P comes with flat panel design, while the older 65EG9600 use curved panel design. Curved panel design is intended to bring panoramic watching experience, but a lot of people still prefer the flat panel one. So flat and curved is all about preference. Some customers love flat one, while the other love the newer curved panel one. The picture technology of OLED65E6P and 65EG9600 is quite similar with its OLED panel. They can deliver perfect black, infinite contrast and cinematic color. They are also completed with 4K Upscaler technology to deliver near 4K picture quality from non 4K contents. As the new model, LG OLED65E6P comes with the new OLED HDR with Dolby Vision support. With OLED HDR, you can enjoy enhanced details and contrast from your High Dynamic Range contents that including support to Dolby Vision that used by major studios so that you can enjoy the content just like intended by the film director. LG OLED65E6P and 65EG9600 come with Passive 3D feature. Passive 3D feature is able to deliver cinematic 3D watching experience with OLED panel and 4K UHD resolution. Additional The TV sets are also included with 2 glasses so you don’t have to purchase the 3D glasses separately. LG OLED65E6P and 65EG9600 come with similar WebOS Smart TV platform. They are only different in version. WebOS 3.0 is installed on LG OLED65E6P, while WebOS 2.0 is the one that you can find on LG 65EG9600. WebOS 3.0 comes with improvements from WebOS 2.0 so that It become more stable and user friendly. The magic remote are also included on both of LG OLED65E6P and 65EG9600. But the magic remote type is different although They are similar in functions. LG OLED65E6P comes with premium magic remote that looks more classy than standard magic remote included with LG 65EG9600. The speaker system of LG OLED65E6P is more powerful than LG 65EG9600. It comes with 2.2Ch 40W speaker system, while LG 65EG9600 is only attached with 2Ch 20W speaker system. The speaker is also located in the different location as well. LG OLED65E6P’s speaker is positioned on the TV stand with soundbar alike design, while LG 65EG9600’s speaker is located on the body of the TV. Built-in Wifi that come with OLED65E6P is different with the one installed on 65EG9600. LG OLED65E6P comes with 802.11 a/c wireless, while LG 65EG9600 only use the older 802.11 n wireless. 802.11 a/c wireless is technically able to deliver faster internet connection to your TV so that you can stream your favorite 4K contents smoothly. When It comes to price, We have to say that LG OLED65E6P is now commonly priced at significantly higher price than LG 65EG9600. You can find that OLED65E6P is usually offered at around $2100 higher than LG 65EG9600. Although the price is not fixed since It’s changed month by month, but in general LG OLED65E6P is usually higher in price than LG 65EG9600. Related Post To LG OLED65E6P vs 65EG9600 : Which 65-Inch OLED 4K TV is for You? Samsung UN65MU8500 vs UN65MU6500 : Is Samsung UN65MU8500 the Model that You Should Choose? If you are looking for 65-Inch curved Smart 4K UHD TV from Samsung’s 2017 TV lineup, I’m sure that Samsung UN65MU8500 and UN65MU6500 are two models that you are considering. Samsung UN65MU8500 is the only option for..
Vizio P65-F1 vs P65-E1 : Is There Any Improvement from the Vizio’s 65-Inch 2017 P-Series to 2018 P-Series? Vizio P65-F1 is easily guessed as the successor model of Vizio P65-E1. As the successor model of Vizio P65-E1, We can find that there are several similarities between Vizio P65-F1 and P65-E1. But, is there any improvement..
TCL 65R617 vs 65S517 : What’s Their Key Difference? 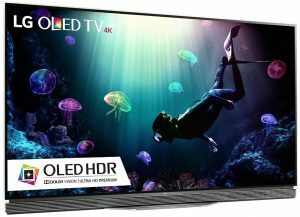 We need to mention TCL 65R617 and TCL 65S517 as the options that we should consider if we are looking for 65-Inch 4K UHD TV that support Dolby Vision and HDR10. Both of TCL 65R617 and TCL..